Life-Flo's Pure Almond Oil is extracted using an organic cold press process and contains no artificial additives or chemicals. Advertências: Keep out of reach of children. Avoid contact with eyes. If irritation, redness or discomfort occurs, discontinue use and consult a licensed health practitioner. Store tightly sealed in a cool, dry place. Notas: No animal testing. Cold pressed and food grade. 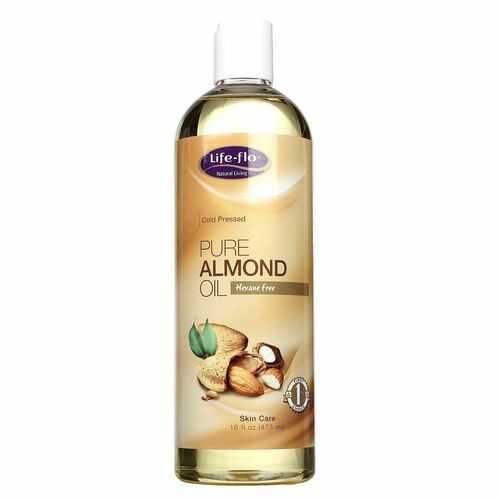 Ingredients: Prunus Amygdalus Dulceis (Sweet Almond) Oil (99.5 percent), Tocopherol (Vitamin E) (Antioxidant to preserve the freshness of the oil). 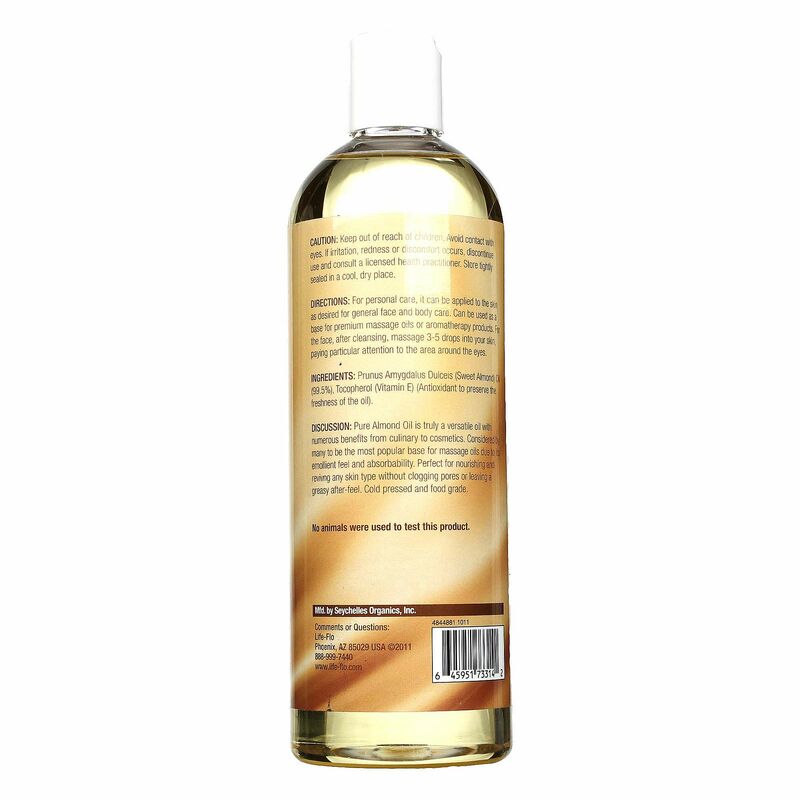 Recommended Use: Use as desired for massage or skin care or use as a base for premium massage oils or aromatherapy products. For the face, after cleansing, massage 3-5 drops into your skin, paying particular attention to the area around your eyes.